VIRGINIA BEACH, Va. (WTKR) - A woman suffocated to death in Ocean City, Maryland after falling into a large hole on the beach. A 30-year-old woman who was vacationing from Texas died earlier this week after she fell into a large hole on the beach. She apparently began separated from her family at around 2 o'clock in the morning and her body was found a hours later on the beach. 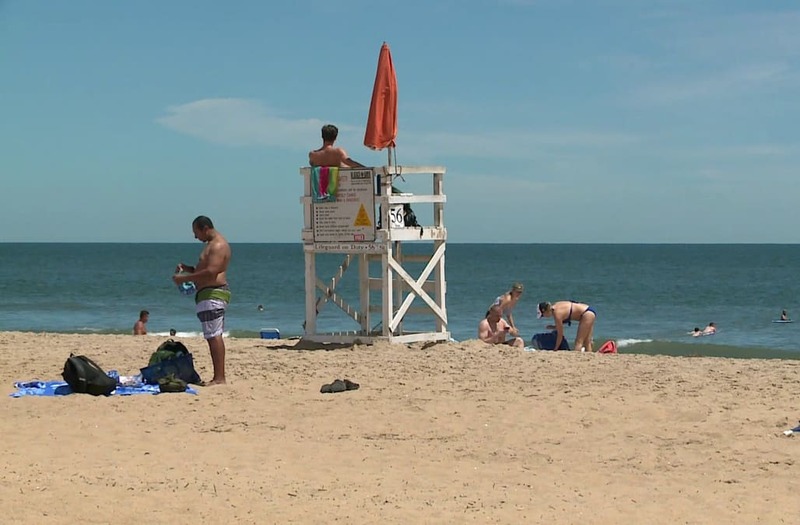 U.S. Lifesaving association spokesperson Tom Gill said, "Nationally, there are deaths every year from this and this one in Ocean City is just a horrible reminder of the dangers of holes on the beach." Gill said the sand can be deadly if is caves in around you. Stacy Frade lives in Chick's Beach and she said she takes precautions for her neighborhood and will actually go out on the beach and fill holes that were left behind by others.